The renowned Cork based blues band Hot Guitars regularly perform in a wide variety of venues and festivals in Cork city and the Munster region. This five piece band�s blues, rock style is popular with young and older audiences as they play a variety of covers ranging from The Rolling Stones, The Animals, Dylan, Muddy Waters, Clapton, Van Morrison, Spencer Davis Group, Chuck Berry, Wilson Pickett, Steely Dan, Alex Harvey, Jerry Lee Lewis and more. Their recently released CD �Live at the Mills� captures their sound and reflects the talents of band members who have worked together for twenty years. Hot Guitars have played Guinness Cork Jazz Festival continuously for 12 years. 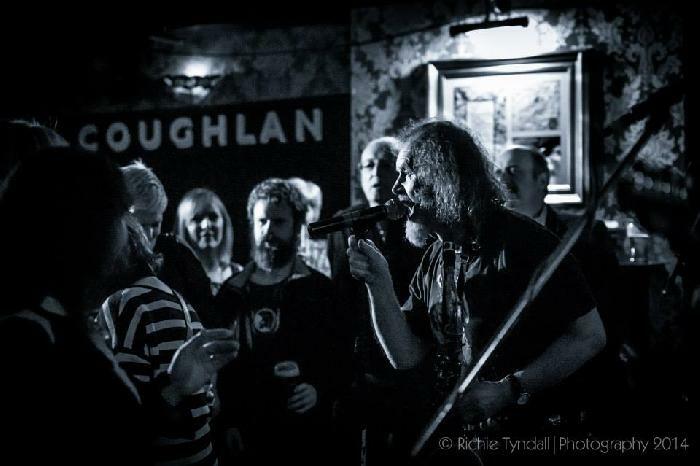 Lead singer, Joe O�Callaghan is also an accomplished harmonica, sax and keyboard player. His high energy performance ensures that audiences are dancing in the aisles from the very first number. Joe is described as �hot guitars front man�. Skilled guitarists Tom Stephens and Tony Burke are also talented vocalists and lend to the great vocal sound of Hot Guitars. Bass player, Pete Brennan has played with a variety of Cork bands since the early �70s. His experience with Western Swing, Bluegrass and Rock �n� Roll bands comes to the fore in his playing with Hot Guitars. Pete, Tom and Tony are also frontline members of Cork outfit The Dan Clan established to play the music of Steely Dan. John Quirke on drums contributes to the dynamic and powerful rhythm section of the band.